I scream, you scream, we all scream for… Digitally Imported. 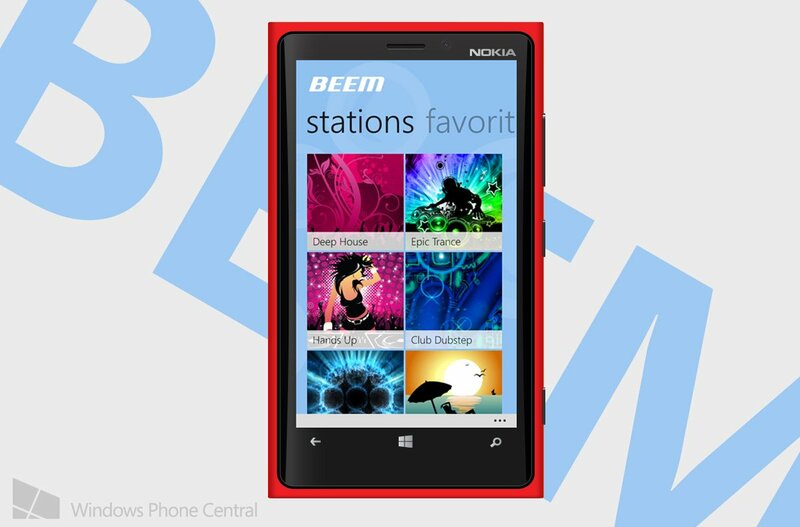 Lame humor aside, if you like electronic music you probably have Beem on your Windows Phone. Today it’s been upped to version 1.7. What do you get with that? Quite a bit, let’s dive in. If you stop a recording, you now have the option to manually change the name if you don't want to overwrite the existing file. Ability to copy track to clipboard. Can navigate through stations from the native OS media controls. Recording prompt notifying that the application should be in the foreground can be disabled if necessary. Display track name and artist in the OS media controls. In the past, you had to either overwrite or lose the existing recording if it had the same name. Now you can manually change the name to avoid overwriting. The “copy to clipboard” option allows you to share tracks in places like text messages or emails. That was a user requested feature, which means this is a developer that actively listens and incorporates feedback from everyone. The other notable changes include faster storage recording and some UI/user experience tweaks. Quick edit: Forgot to add - Just uninstall and reinstall if you're having trouble after updating the app. The reason is that the update might break the previous settings cache for some users. The uninstall/reinstall trick is mentioned by Den himself and has worked for you guys down below in the comments. Den Delimarsky has been busy improving Beem. The latest update is a testament to how awesome this app is becoming for users, it currently sits with a 4.5 rating in the Store. Give him a Twitter-five if you like Beem!